Based on a careful selection of Jack Herer, one of the best genetics of all time, Advanced Seeds started to make these amazing Auto Jack Herer marijuana seeds. Like its predecessor its resin production is spectacular, from the beginning of flowering plant is covered with huge, bright triconas. 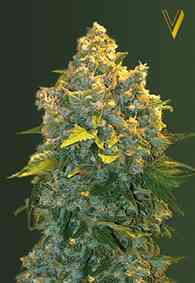 Develops extraordinarily dense long buds. It has an aroma and taste of spices and woods, complex and nuanced. Without doubt one of the most powerful Auto available to growers, mental and exhilarating rush faster physically.